For those caring for their loved ones at home, The Highlands offers affordable short-term respite care services to help with their special needs after a hospital stay. For many, it’s also the peace-of-mind solution to taking that family vacation or to simply take a break to regain life’s balance. For those recuperating after surgery or an illness, we serve as the bridge between hospital and home. 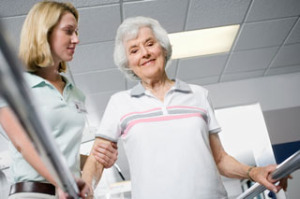 We offer 24-hour nursing care, wound care, physical therapy, occupational therapy, speech therapy and psychiatric services in coordination with respected outside providers.